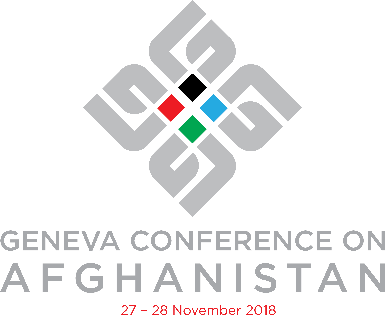 The Geneva Conference on Afghanistan (GCA) was co-hosted by the Afghan government and the United Nations on 27th and 28th November 2018. The GCA presented an opportunity for the Afghan government and the international community to review past commitments and lay the groundwork for cooperation until 2020 and beyond. The GCA offered a unique opportunity for civil society to convey the reality of conditions in Afghanistan, especially through the voices of its people. 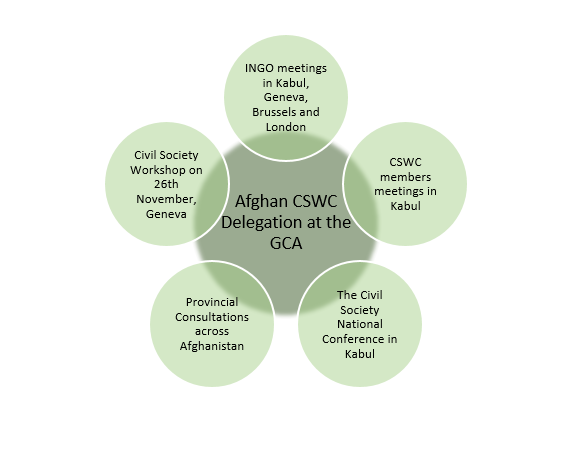 BAAG is supporting the Civil Society Working Committee (CSWC) to headline the views and voices of Afghan civil society before, during and after the GCA. International civil society also worked together in preparing for the GCA by exchanging views on priority messages and updating each other on their own advocacy work for the event. How was Civil Society represented at the GCA? 10 Afghan civil society representatives were selected to attend the GCA as delegates following a highly competitive and transparent selection process. As delegates they were responsible for advocating key messages from civil society, influencing decision makers on policy priorities and two (one male, one female) Civil Society spokespeople were selected to present the Civil Society statement on behalf of civil society on the 28th November during the main ministerial conference. What is the CSWC and delegation doing to prepare for the GCA? 34 Provincial Consultations and a two day National Civil Society Conference in Kabul to consolidate the voice of civil society. A one day civil society workshop on the 26th November in Geneva to bring Afghan and International civil society together and facilitate discussion on key priority issues for Afghanistan ahead of the GCA. A Civil Society Position paper and Synthesis paper to support 10 Civil Society Delegates in representing civil society at the GCA summit through active participation, presenting position papers and delivering a final statement advocating on behalf of civil society. Four INGO information sessions held in Kabul, Geneva, Brussels and London to collect and consolidate key messages from international actors and their representatives in Afghanistan. (Documentation of the above outputs may be found in the side-tab titled Position Papers, Statments and Policy Documents). To ensure an accurate and inclusive message was presented a wide range of activities and events were held across Afghanistan and Europe. This infographic shows the five core areas for collecting and collating the views and voices of civil society in order to guide the 10 delegates in positioning themselves as influencers and advocates at the GCA on behalf of the Civil Society Working Committee members. What is the agenda for the GCA? To find out more about the GCA please visit UNAMA and the Afghan Ministry of Finance. How can I find out more about Afghan civil society, the CSWC and BAAG?